This lovely bracelet is made with 18 gauge Bright Aluminium rings woven together with triple connectors in the byzantine style to create a chain maille bracelet. 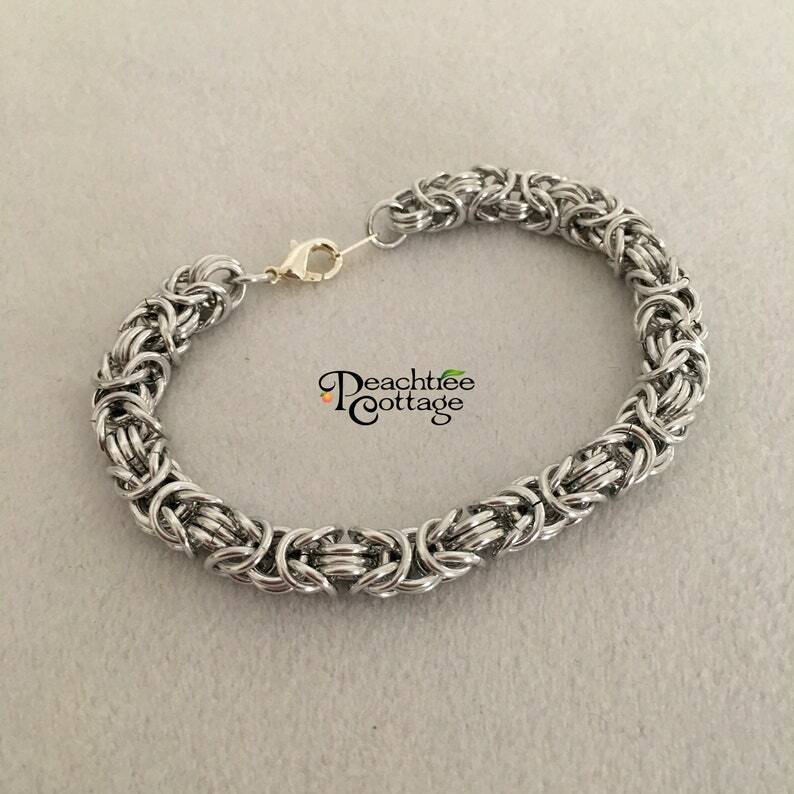 The classic Chainmaille Byzantine Bracelet is then finished off with a lobster claw clasp. It is light weight, strong and won't tarnish - perfect as an accessory for both day and evening wear! Made to order.